All restaurants aim to drive more customers to their store or website. However, with each passing year, the market becomes more saturated with competitors and options to choose from. 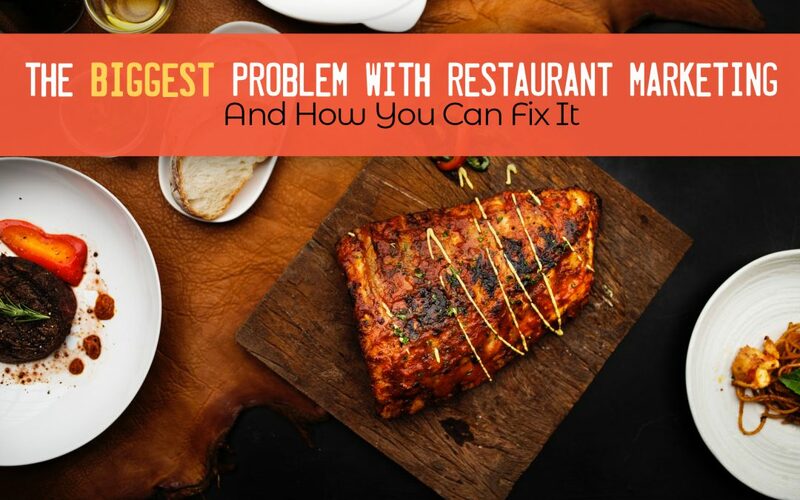 For both customers and restaurant owners, it can be overwhelming and disheartening. The challenge to compete and stand out becomes harder. Trying to be innovative while relating to your customers can end up feeling incredibly difficult and frustrating. First impressions are important when it comes to your restaurant. If a customer has a bad experience (or a positive one!) they have the opportunity to immediately post it online to multiple review outletss. Around 84% of people trust online reviews as much as their friends. Think about how your food is packaged, how friendly your delivery drivers are, or how fast a takeout order is prepared. All of these items could affect a customer’s overall experience. Customers remember everything when it comes to service. Having a positive experience will encourage customers to order from your restaurant in the future. Outside of reviewing their experience, customers will turn to social media to discuss their purchase. The most credible form of advertising comes straight from the people we know and trust. Nearly 83% of online respondents in 60 countries say they trust the recommendations of friends and family, according to the Nielsen Global Trust in Advertising Report released today. Take a look at your menu and see if it needs to change. Do you have too many items? Do you have any items that aren’t selling as well as you anticipated? “When we include over seven items, a guest will be overwhelmed and confused, and when they get confused they’ll typically default to an item they’ve had before,” says menu engineer Gregg Rapp. Including a nice-looking picture alongside a food item increases sales by 30 percent, according to Rapp. It is more than just a random list of dishes. You will need to keep your menu up to date to keep up with your customers’ wants and needs while also ensuring your restaurant’s brand is maintained. Once you’ve taken the time to reformat and redesign your menu, double-check that it SEO responsive. To get some inspiration on how to engineer an effective menu, read this guide. For a restaurant to be successful, you first must look at the company’s core philosophies which include your mission statement and values. Most restaurants think they can stand out by cooking great food, but the experience doesn’t stop there. Anyone can have amazing service and awesome food. But what’s next? Look for something that makes your restaurant unique.Let’s say you own a pizza shop that uses a secret sauce that’s been in your family for 50+ years. You own the shop with your twin brother and opened it in the city you grew up in. This family component is part of your restaurant’s brand story. Customers want to know more than just the fact that they’re eating good food. Additionally, if you are a restaurant that only sources local, organic food, you should showcase and highlight those decisions in your marketing. You want to build a brand that can relate to both your own brand and mission while also drawing in the customers that will appreciate and support your business long-term. When it comes to marketing, real-life experience is best. “Word-of-mouth marketing isn’t about giving customers talking points as if they were brand spokespeople. It’s about delivering an exceptional customer experience that makes customers want to recommend you,” stated Deborah Eastman, CMO of Satmetrix. Diana Kelter, a senior trends analyst at marketing firm Mintel, wrote in a blog last year that the notion of extending a restaurant brand beyond its food and into new categories melds with the choice of millennials and Gen Z to discover trends on social media. “In a social media culture, expanding into new territories is quickly becoming the norm in order to stay top of mind with younger consumers,” she wrote. In a nutshell, your food, your service, your brand and your story will create your identity and uniqueness to engage with your customers emotionally. Find the “special” part of your restaurant and bring attention to it to your customer. Take time to understand your customer, determine where you should improve your marketing and then design a clearer strategy as to how to reach your current and potential customers by first improving your brand and customer experience.